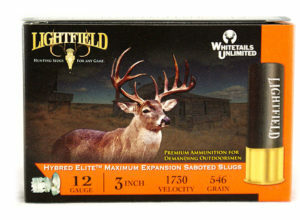 TarHunt has released a 6-round writer/sample boxes in the following slug weights: 270gr Raptor Alv (contains-lead) in a generic white box. 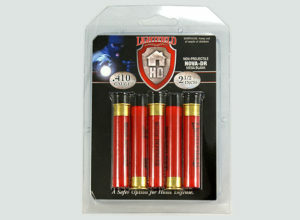 There are just a few boxes of the 260 Raptor Alv (contains-lead) left. When checking out, on the billing details page, on the right side, across from the credit card info area, there is an Order Notes Box. Please state the slug weight you are ordering. The Schrifle round typically produces 12% less serious flyers than any other current sabot-discarding production round. The 20ga “Schrifle”: will not work well when used in the H&R 960 slug gun with it’s 1-35 twist and oversize bore. 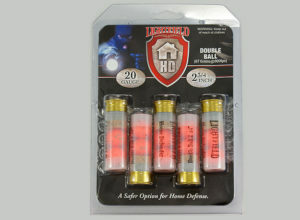 I can not make a 20ga Schrifle round work in the H&R 960-20ga because of there over size bores! 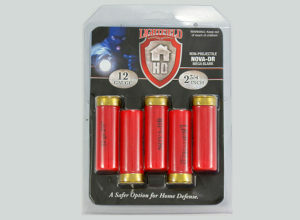 Lightfield Home Defender Nova DR 12ga.